Airborne Internet has the potential to change the way aircraft receive and send data, or more appropriately, INFORMATION. A.I. will provide an interconnected digital data network between aircraft and to/from the ground. A.I. has the potential to change how aircraft are monitored and tracked by the air traffic control system, how they exchange information with and about other aircraft. The first and original writing about the idea which became known as Airborne Internet: White Paper on Airborne Internet. But consider a time horizon even farther than the near future.....consider the possibility of ubiquitous information connectivity amongst all forms of transportation mobility. The development of A.I is rapidly moving, progressing, and developing....The first Airborne Internet proof of concept system was originally developed as a supporting technology to the NASA Small Aircraft Transportation System (SATS) program. Since then, Airborne Internet has taken off on its own, still growing and developing as our society places greater and greater emphasis on information connectivity while traveling. Second writing: "Network In The Sky"
Fourth Writing: "CREATING THE NETWORK IN THE SKY"
2007: Multi-Aircraft Airborne Networking Flight Tests. Two aircraft, three ground stations, two different Airborne Internet systems successfully flight tested simultaneously. High speed Airborne Internet .....90MB/sec accomplished ! Update; ground system has been installed, avionics installed....prototype flight testing accomplished. Air-to-Air network connectivity, aircraft network relay, VoIP to/from aircraft, secure communications, the first airborne VPN to SWIM Lab, weather to the cockpit, file transfer, chat, web browsing, email, live streaming video and audio. Is there anything else??? April, 2007: Atlantic City NJ: Initial flight tests using high bandwidth airborne networking capability. Mar 15,2007: Atlantic City NJ: The Airborne Networking project is the first to demonstrate Voice over IP (VoIP) using only a 25khz standard aviation radio channel spectrum. VoIP was demonstrated between one aircraft and the ground with excellent voice quality and usability. 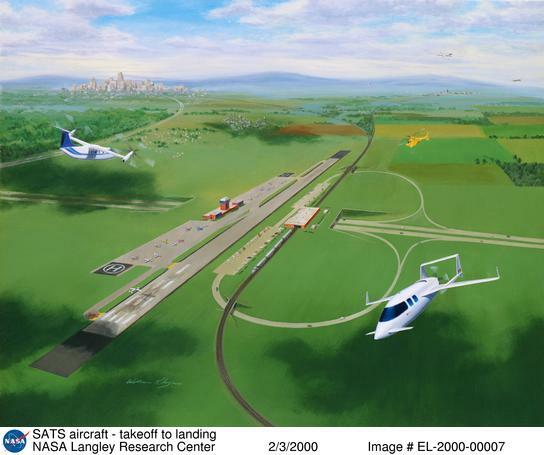 Nov 7, 2005, Atlantic City, NJ: The Airborne Internet project flew the first NGATS Demo test flight over the planned NGATS Demonstration flight path. The VHF/VDL Airborne Internet system was tested and found to have link connectivity out to 190 miles from Atlantic City. See photos at: Nov 7, 2005: First NGATS Demo test flight. United Airlines (UAL), first U.S. domestic carrier to make real commitment to Airborne Internet reality: UAL, already an early member of the Airborne Internet Consortium (AIC), in joining with Verizon, has announced with fanfare the initiation of an Airborne Internet capability on their aircraft. See their news release here. According to the May issue of the MIT Technology Review magazine, Airborne Networks are one of "10 Emerging Technologies"...read about it here. - ICNS Conference: May 2-5, Hyatt Fair Lakes hotel, Fairfax Va.: Airborne Internet was featured at this conference for the third straight year. An entire track was dedicated to Airborne Internet. Jim Meer of Microflight microflight@worldnet.att.net was the session chair. http://spacecom.grc.nasa.gov/icnsconf/index.shtml for more info on the Conference. FCC Promotes Deployment of Broadband Communications on Vessels. Turning Goals Into Reality (TGIR) Mobility Award for 2003 ! !